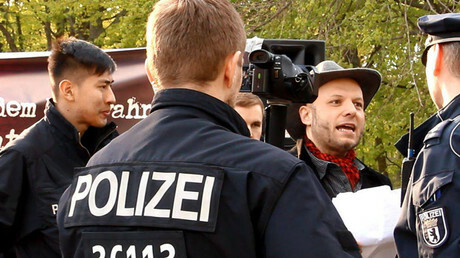 The court order issued on Tuesday applies to the whole of Germany, Reuters reported. “Through the poem’s reference to racist prejudice and religious slander as well as sexual habits, the verses in question go beyond what the petitioner [Erdogan] can be expected to tolerate,” the Hamburg court wrote. The court said the decision was necessary to balance the right to artistic freedom and the personal rights of Turkey’s leader, but added that its ruling could be appealed. Violating the decision could result in a fine of up to 250,000 euros ($282,000) or administrative detention of up to six months, Germany’s Spiegel Online reported. Erdogan’s lawyer said he was content with the ruling, RIA Novosti reported, while the comedian’s defender stressed that the poem must be considered as a whole, claiming its verses had been taken out of context. The poem, which was recited on German television by comedian Jan Boehmermann in late March, has become a bone of contention for Chancellor Angela Merkel, as well as European audiences and the media. 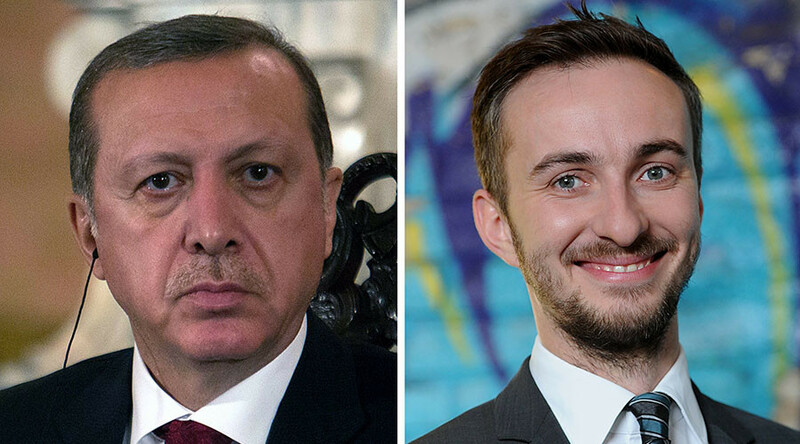 After Erdogan demanded that German authorities press charges against the comedian for allegedly insulting him as Turkish President, Merkel allowed her prosecutors to pursue the case against Boehmermann. A separate complaint being dealt with in the western German city of Mainz is still being processed, with prosecutors saying it is as yet unclear when a decision is to be made on whether to go ahead with the case, according to Reuters.